I always hoped I would get to do the list of "10 Things That Make Me Happy" in Domino, but alas Domino folded before my article came out. One of the things on my list would have been my eight issue run of Taste Magazine. 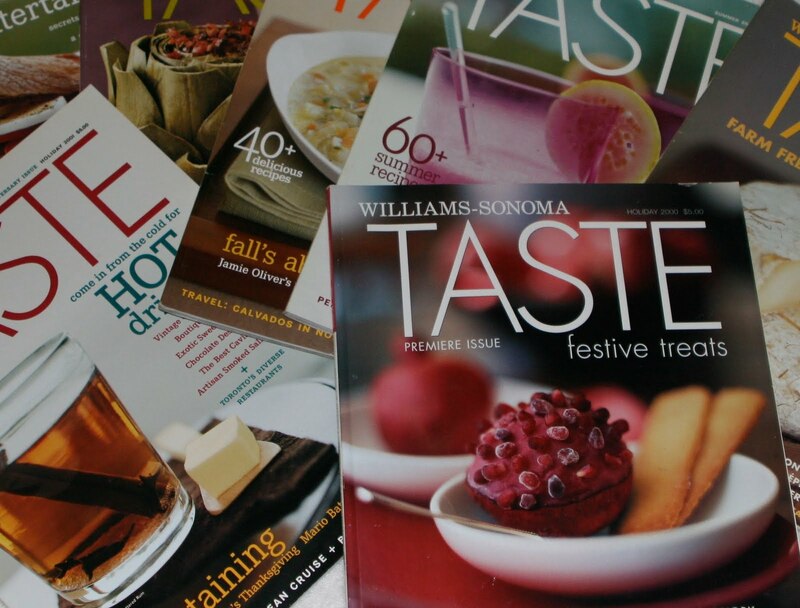 In 2000 Williams-Sonoma decided to publish their own "cooking" magazine. It was exquisite. Truly exquisite. But it only lasted 8 issues before it folded. The last issue was dedicated to Paris. Chuck Williams wrote about his first trip to Paris in 1953. He had his first croissants, his first crepe and his first soufflé. His most amazing first was a dessert of fromage frais with Tomato Confiture. Since I have been facing a glut of tomatoes, this seemed like a great time to give Williams' recipe a try. 1. Blanch tomatoes in batches until skins loosen, about 15 seconds. Drain and rinse with cold water. slip off skins and cut each tomato in half crosswise. Gentle squeeze out seeds, then cut tomatoes in small pieces and set aside. 2. In a nonreactive, heavy-bottomed saucepan, combine 1 cup water and the sugar. Bring to a boil over high heat, stirring carefully until sugar dissolves. Add tomatoes, reduce heat and cook, stirring frequently for 30 minutes. 3. Add vanilla bean and continue simmering until thickened and beginning to jell, 25 - 30 minutes. A candy thermometer should register 220-225F. Alternatively, spoon a little jam on a chilled plate and let stand for a few minutes. 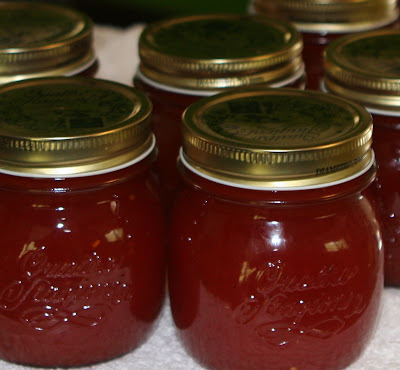 Slide a finger through; if the surface wrinkles, the jam has jelled. 4. Skim any foam from top, discard vanilla bean, and pour into sterile jars with tight fitting lids. After filling, I processed the jars in a hot water bath for 10 minutes as I had quite a few jars. The final product is a thick, sweet, tomatoey... well, jam. Paris in a Jar. made it. What do ya think about selling a jar? ?